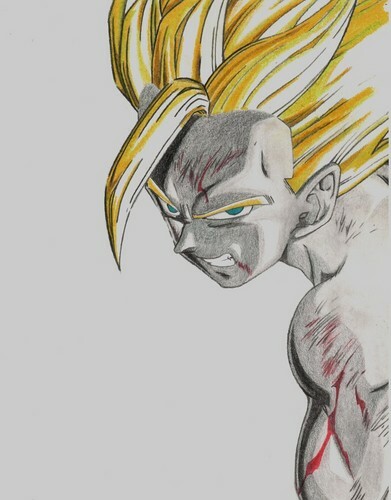 Gohan SSJ2 Sketch. He's about to do that world famous Kamehameha.. HD Wallpaper and background images in the Dragon Ball Z club tagged: dragon ball z dbz anime gohan blast super saiyan. He's about to do that world famous Kamehameha.